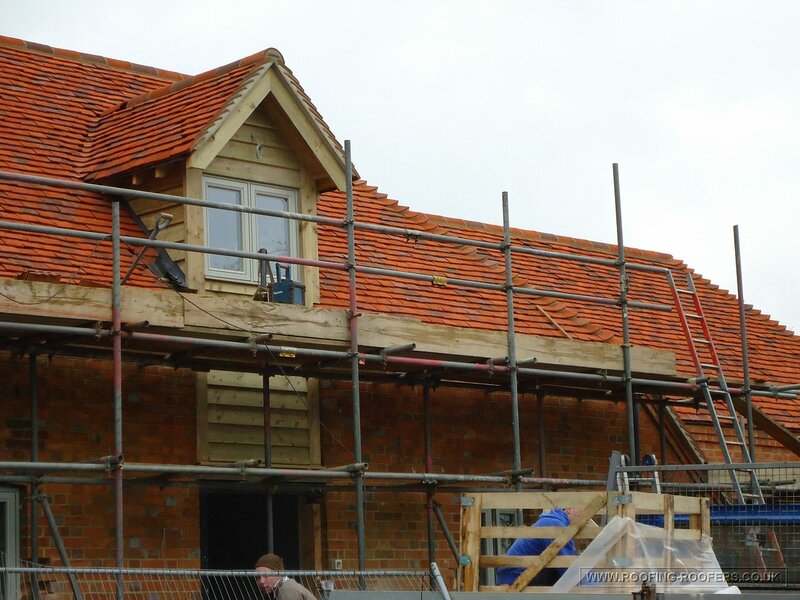 A large job where I applied the felt, battens and tiled the barn roof plus lead work coming in behind the carpenters as they completed their parts of the project. I will always remember this project as it was in extremely cold weather and the work took about three weeks to complete my part of the contract. 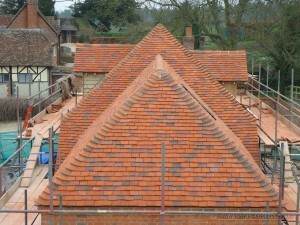 This was a barn conversion for a local builder where a new cut roof was put on and I fitted all the roof tiles. These were a handmade clay tile to keep the authentic look in the surrounding area of East Hendred Oxfordshire. 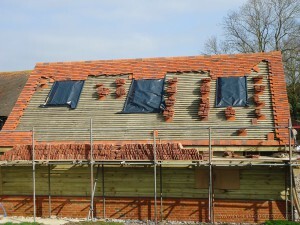 The roof is ready now for all the bonnets to be bedded on using sand & cement. 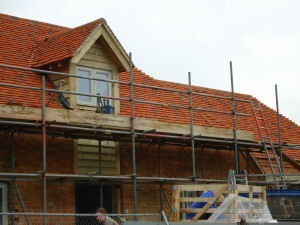 This is the garage of the barn conversion with three velux lights in the back roof. 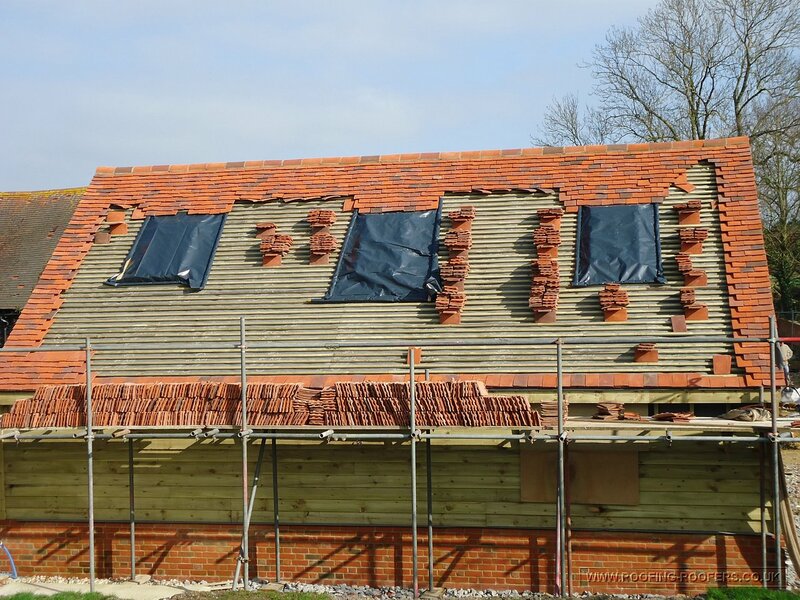 I made the decision to tile all perimeters, bed verges and ridge tiles while the weather allowed us to then I could just fill in and tile around the windows. 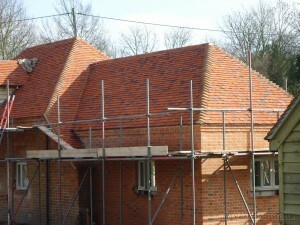 The roof on this barn conversion is almost complete. The weather was particularly cold when this was done so the mortar work can only be applied above a minimum creation temperature. Just finishing off the mortar work while the weather breaks (briefly). This image shows the barn roof complete, as you can see the tiles were blended so they had to be mixed at a certain ratio to make the blend look right. 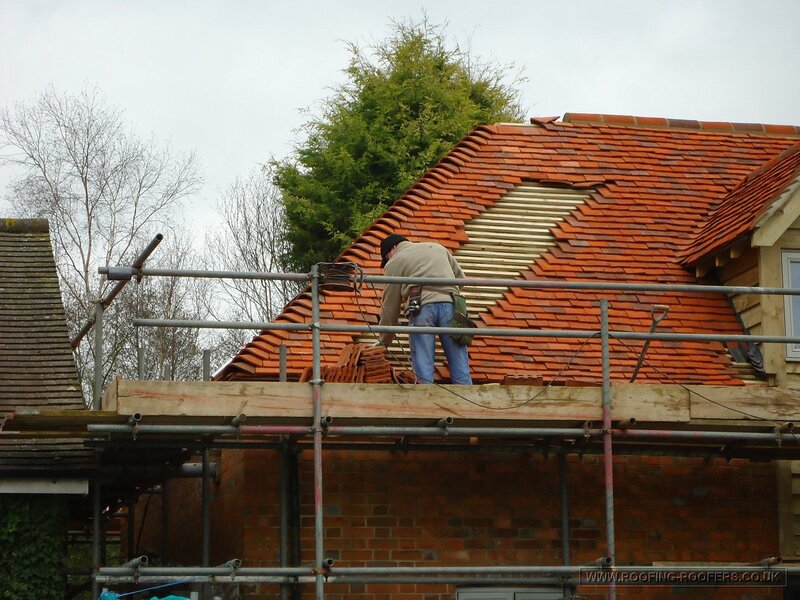 This roof had only bonnet and valley tiles so the battens had to meet all the way round for the bonnets and valleys to marry in with tile levels. It made it harder with the addition of roof light windows too, so this takes some thought and lots of tape measurement work! add in the very cold weather when this project will be very well-remembered. 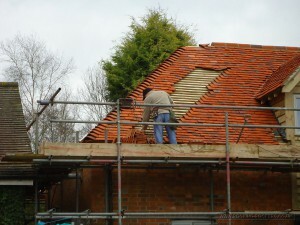 This entry was posted in Roof Tiling and Slating and tagged lead work, roof tiling, velux roof lights by admin. Bookmark the permalink.